In today's fast-paced life, parents have become too busy trying to make their careers and earning money to run their household. Kids are many times neglected and while some understand the situation, most of the others prefer spending more and more time alone on their mobile phones or tablets. While there is no denying fact that tablets can be a great source of education and fun, they can also be dangerous. Children who spend too much time on their tablets negatively affect their health or conduct ungainly activities on social media. Thus, parents need to make sure that their kids are using tablets responsibly and the best way to ensure this is by implementing parental controls for the Android tablet. Fortunately, there are several apps designed to keep the family safe and healthy while reaping the benefits of an Android tablet. Parental controls on Android tablet are important because kids are spending far too much time on tablets. The TLF panel (an online research panel) conducted a study on how much time kids spend on their devices by interviewing parents. According to the study, 37 percent of parents said their children spend 1-2 hours a day on their tablets. On the other hand, 28 percent revealed their child spends 3-4 hours on devices. This amounts to around 17 hours a week spent on tablets. Experts estimate that by the time a child is 7 years of age, they would have already spent 24 hours a day on tablets. This is far too much time spent on tablets, and experts are concerned about the mental and physical implications. Also, the University of Cambridge researchers studied the correlation between kid's academic performance and time spent on devices. They discovered a negative correlation between grades and time spent on tablets. The study revealed that an hour of additional screen time led to 9.3 fewer GCSE points. Hence, spending too much time on Android tablet has an adverse impact on kid's academic performance. Therefore, to make sure they are not falling behind in studies, parents need to install Android tablet parental controls. How can Android Parental Control help us? 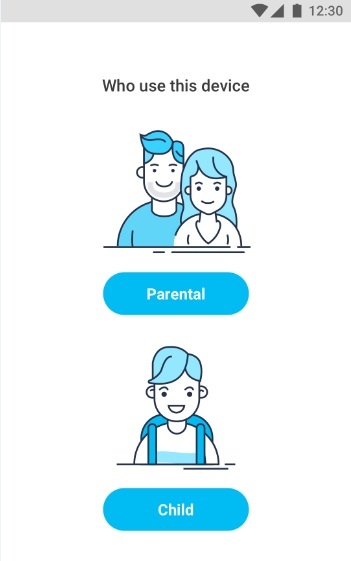 Parental controls are helpful because they help parents to restrict the usage of the device in a proper time setting as well as taking care of any misguidance by online sources. Parental Controls on Android Devices ensures that children are taken better care of by restricting their access to harmful apps, links or games that somehow affect their study, performance and mental growth. Researchers strongly recommend limiting children's screen time on tablets and parental controls for Android tablet allow parents to set these limits. Also, parental controls make it easier to enforce rules to make sure children are kept in line. Parents cannot always be with their kids because they have to work, but can monitor children remotely. Sometimes, children can be disobedient and will not always follow the parent's instructions. Also, many children are not always forthcoming about their online activities and we all know that secrecy is dangerous especially if they could be involved in something dangerous and not even realize it. Hence, using parental controls can give a sign of relief to worrying parents to monitor children's activity on their Android tablet. Some of these apps also let children know when they being monitored, which will additionally prompt disciplined behavior. 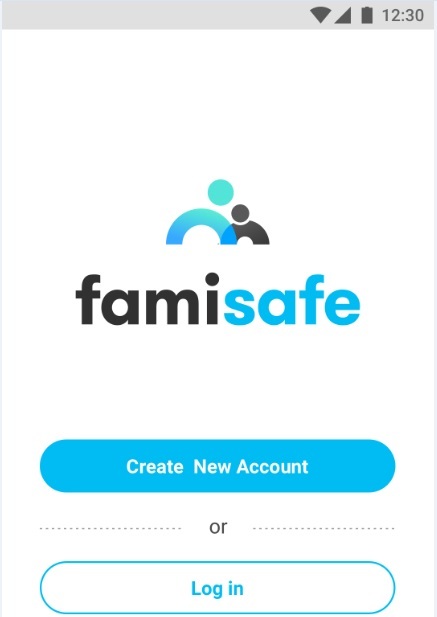 FamiSafe is a brand new parental control app for Android and iOS devices. The app is designed to help parents enforce limits on smart devices. Parents can place restrictions on app activity, web browsing, and even track their location in real time. With FamiSafe, parents can now enforce limits on their child's tablet usage even when they are not in the same area as them. It allows parents to protect their children by restricting device usage, and internet access to only certain hours of the day. 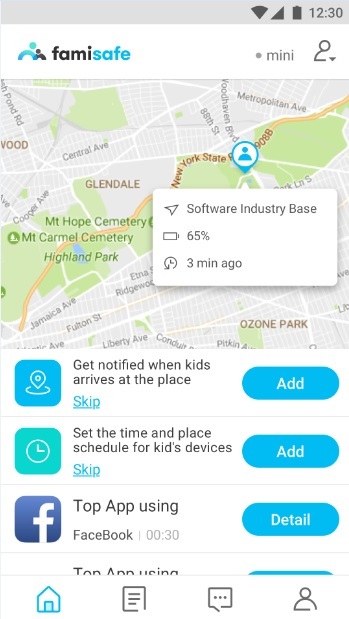 In addition, parents can even use FamiSafe to keep an eye on where the kids are going and make sure they are not visiting places they are not supposed to. Placing security settings with your own device. Record and monitor browsing history. Track kid's whereabouts by tracking their device. Make sure they are not going places they aren't supposed to with geo-fencing. Monitor the type of apps being downloaded and used. Restrict app activity during certain hours of the day. Besides the above, there is a feature called Screen Time that lets you set limits on the time spent on the device. Hence, children cannot access their tablet to play games or chat with friends within that time period. When Screen Time is activated it will block third-party apps, Google Play, and web browsers. You can also establish certain settings like how long Screen Time is activated. Moreover, the setup process is incredibly easy and can be done in minutes. Another excellent feature from FamiSafe is App Blocker, which allows parents to block popular apps during certain times of the day. Children have to study but might be too distracted by their favorite game or social media to work, hence, parents can use App Blocker to block specific apps like Facebook or Instagram for some time. Parents can see the list of all third-party apps installed on the tablet and choose the ones to be blocked. To block an app, parents only need to turn the slider “On” and “Off”. How to set parental controls on Android tablet using FamiSafe? 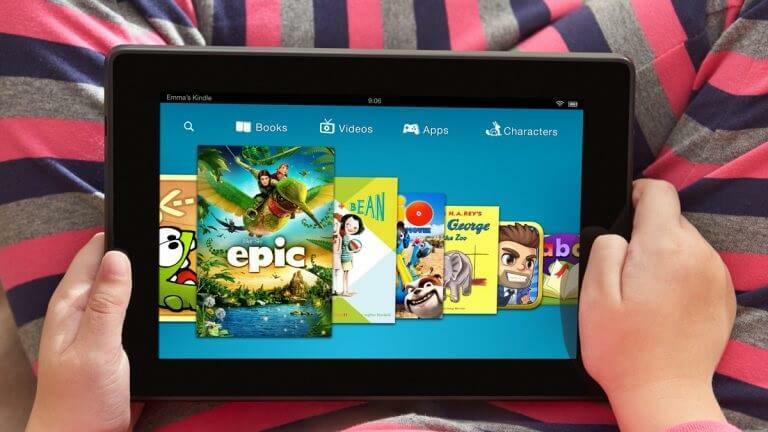 Do you want to take the full advantage of the Android tablet parental controls? Well, the best way to do that is to sign up and install FamiSafe that will safeguard your child against any diversion due to the misuse of their tablet device. Step 1– First of all, download and install FamiSafe for Android on both your own device and your kid's device from Google Play. Step 2- Register FamiSafe account, the registration can be done either on your own tablet or children's tablet. Step 3– Establish the operation settings for the app and allow the access location. Now proceed with the installation of Mobile Device Management. Step 4– On the kid's device, log in to the account as kids device, enter the details and provide access to FamiSafe. Simply follow on-screen instructions. Step 5– Now move on to the parent's device. Log in to the account and create the connection with the child's device. Then proceed with parental controls from Android Tablet. Once the connection is set, parents can monitor their children's activity. There are several options that you can opt for while, like “Screen Time”, “Web Filtering”, “Content Filtering” and “App Blocker”. If children spend too much time on their devices it can drastically affect their mental health. In addition, children can stumble into danger on the Internet without realizing its wrong effects. To protect children, parents need to monitor their children's online activities by opting for Android tablet parental controls. Here, FamiSafe is the best choice because taking the help of this app on your kid's Android tablet will avoid any future dangerous circumstances.